COOPERSTOWN - Thomas C. Brady, 57, passed away unexpectedly February 23, 2016, at his residence in the Village of Cooperstown. He was born September 30, 1958, in Jamaica, Queens, a son of the late Edward and Evelyn (Hinck) Brady. Currently employed at the Walmart Distribution Center in Sharon Springs, he had also worked part-time at Bassett Medical Center in Cooperstown. Tom is survived by his daughter, Paige L. Brady, of Liverpool, and his siblings, Patricia Brockmann and husband, Bob, Owen Brady and wife, Nina, and John Brady and wife, Nancy. Family and friends may call from 6-7 p.m. on Thursday, March 3, 2016, at the Connell, Dow & Deysenroth Funeral Home, 82 Chestnut Street, Cooperstown. A service to commemorate the life of Thomas C. Brady will be offered at 7 p.m. that same evening at the funeral home, with the Rev'd Richard Lehmann, Priest at St. George's Episcopal Church in Schenectady, officiating. For those who wish to remember Tom with a memorial gift, please consider donating to Make-A-Wish America, Gift Processing, 4742 North 24th Street, Suite 400, Phoenix, AZ 85016. MILFORD - Selfless mother, grandmother and great grandmother Catherine T. "Kitty" Elliott, completed her 85 year journey, surrounded by her loving family and friends Monday, February 8, 2016. Kitty joined the world with her twin sister on May 21, 1930, in Wilmington, Delaware. She was one of eight children born to the late Antonio and Mary (Uzzo) Mazzio. She began her hard working career at a young age, leaving academic pursuits to help care for her siblings. On August 7, 1954, she wed the late Robert F. Elliott, who served in the US Navy. 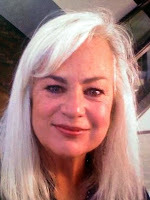 In 1970, she and her husband moved to upstate New York, settling in Milford. There, Kitty raised her three children with exceptional love and devotion of which she took great pride in. This was by far her favorite and most rewarding profession. In return, each is eternally grateful for all she taught and provided to and for them. Through the years, she "wore many hats" at various local establishments; but her hardworking, determined, and sassy persona always shone through. Kitty was known for her colorful words and keen wit, at any time, and in any given setting. For some years, she and her husband owned and operated the Milford Market. Always a people person, Kitty was employed in many places including The Meadows, a Captain at The Otesaga and Taylor's Mini Mart. She especially loved being a waitress and spent many enjoyable years employed by dear friends, Jim and Polly Renckens at The Hickory Grove Inn. 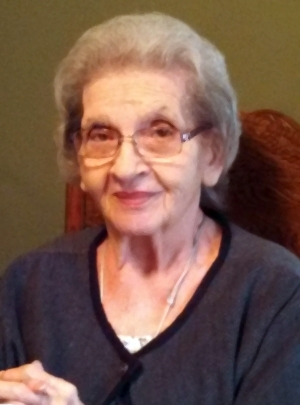 During her time here on earth, Kitty helped countless people in her family and community, not least of which being the seniors who attended luncheons with her at the Christ Church Parish Hall. In her free time, she enjoyed a good game of Bingo, wherever it was held. She was an avid bowler and won many championships. She loved music, especially country-western or dancing to a good polka. While a resident at Chestnut Park Rehabilitation and Nursing Center, she grew particularly fond of Paul Ryder and his style of country music. Kitty is survived by her loving children, Sharon A. Elliott of Oneonta, Robert F. Elliott, Jr. of Milford, and David M. Elliott of Cooperstown; her grandchildren Matthew Parslow (Rachel Nolan) of Mt. Upton, Zachary Parslow of Oneonta, and Samantha Fox (Erin Fox) of Troy; a great granddaughter, Sophia Parslow; and a great grandson, Joseph Nolan. She is further survived by her twin sister, Philomena Cahall, a set of twin brothers Louis Mazzio (Jackie Debrady) and Anthony Mazzio, brother Robert Mazzio, and sister Rosemarie Mazzio, and many nieces and nephews. She was predeceased by her son Rob's long-time companion and love, Sonia L. Prendergast, and two brothers, James and Vito Mazzio. Kitty's family will receive friends from 4-6 p.m. Monday, February 15, 2016, at the Connell, Dow & Deysenroth Funeral Home, 82 Chestnut Street, Cooperstown. At 6 p.m. a Celebration of Life will be offered at the funeral home. In lieu of flowers, please consider donating to either the Resident Council Fund at Chestnut Park Rehabilitation and Nursing Center, 330 Chestnut Street, Oneonta, NY 13820, or Catskill Area Hospice & Palliative Care, 1 Birchwood Drive, Oneonta, NY 13820 who both provided excellent care to Kitty in her later years.